U.S. Secretary of State John Kerry’s highly publicized efforts to foster negotiations between Israel and the Palestinians coincides with the 20th anniversary of the Oslo Accords. The conventional wisdom is that the Palestine Liberation Organization (PLO) -- weakened and on the verge of bankruptcy after the end of the Cold War and the first Gulf War -- signed the Oslo Accords to stave off the emergence of an alternate leadership from the occupied Palestinian Territories and irrelevancy. The October 1973 War created an opportunity for Washington to resolve – or at least deescalate – the Arab-Israeli conflict. Since taking office in January 1969, President Richard Nixon and National Security Advisor Henry Kissinger focused largely on the Vietnam War. Meanwhile, Secretary of State William Rogers launched an effort to resolve the Arab-Israeli conflict based on UN Security Council Resolution (UNSCR) 242. The resolution called for Israel’s withdrawal from the territories occupied in the June 1967 War in exchange for peace with its Arab neighbors. Nixon and Kissinger actively undermined Rogers efforts, instead choosing to defer to Israel’s military strength and ignore overtures by Egyptian President Anwar Sadat. The PLO feared being left on the sidelines of any comprehensive agreement. In particular, the organization’s leadership was concerned that Jordan’s King Hussein would regain the West Bank. Like Sadat, PLO Chairman Yasir Arafat (Abu ‘Ammar) believed that the U.S. held the key to Israeli concessions and an eventual settlement. Arafat began to pursue relations with Washington publicly and privately. It is important to note that these efforts by the Fatah leadership to indicate to Washington their willingness to compromise occurred before the PLO was recognized as the “sole, legitimate representative of the Palestinian people” by the UN and the Arab League. It was also before the 12th meeting of the Palestinian National Council (PNC), the PLO’s “parliament-in-exile,” where the organization signaled its willingness to accept the two-state solution. The PNC met in Cairo on June 1, 1974. Fatah and the DFLP wanted to accommodate Moscow and Cairo with a more pragmatic approach, while demonstrating to Washington that it was a potential partner for peace talks. However, they faced resistance from the PFLP and its allies. Egypt and Algeria also encouraged the U.S. to recognize (or at least talk) to the PLO. Arafat believed that UN and Arab League recognition would make it difficult for Washington to continue ignoring the organization. Although the PLO was awarded observer status at the UN, Washington’s policy did not change. In spite of Arafat’s attempts to appear moderate, Kissinger was unmoved. He continued working toward a second disengagement agreement between Israel and Egypt, while ignoring Syria and the PLO. The Sinai II agreement was signed in September and was accompanied by a secret memorandum of understanding (MOU) between the U.S. and Israel, in which Washington agreed not to “recognize or negotiate with” the PLO as long as it did not recognize Israel’s right to exist or accept UNSCR 242 and 338. Arafat, however, was unaware of Kissinger’s post-election plans. In September, he again sought to establish relations with Washington. CIA Director, and future President, George H.W. Bush informed Kissinger that Arafat wanted “a totally secret ‘pre-dialogue’ channel” with the United States. Bush reported that the PLO leadership was disillusioned by the fighting with Syria and the organization was “far more ready to compromise than it was in the past.” The PLO had grown wary of the different Arab governments who were attempting to use it for their own ends or to serve as insincere intermediaries with Washington. “Arafat has political negotiations with the U.S. very much in mind, if they can be arranged,” Bush advised. 41 It would be over a decade before those negotiations would be realized, and they would fall far short of Arafat’s expectations or desires. Arafat’s attempts to develop a relationship with Washington (and the concessions he offered) came after the PLO achieved considerable diplomatic success and well before Israel’s 1982 invasion of Lebanon severely weakened the organization. Indeed, Israeli officials conceded privately to their American counterparts that they were having difficulty challenging the appeal of the PLO’s stated goal of a secular, democratic state in Palestine for all its inhabitants to a Western audience. 43 Yet this is precisely what Arafat and other PLO leaders suggested to American officials they were willing to abandon. In addition, in the quest to appear more moderate than Arafat during this period, at least one high ranking PLO official suggested that the right of return of Palestinian refugees was also negotiable. 44 Thus, the PLO’s leadership demonstrated a willingness to offer major concessions well before reaching the negotiating table – a practice it continues today. 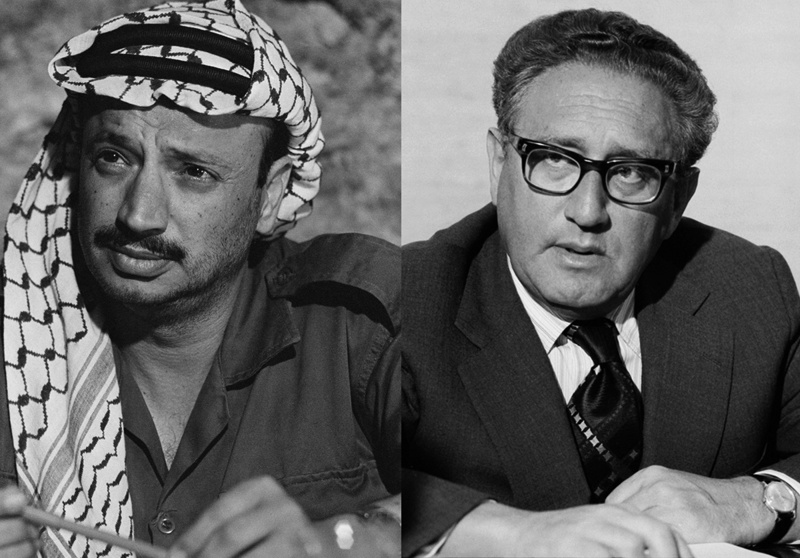 The major difference between the Oslo and Kissinger eras was that American and Israeli governments were finally willing to accept those concessions and negotiate with an eager and desperate PLO. In addition, after the expulsion from Lebanon and the end of the Cold War, the rejectionist front no longer posed a military or political threat to Fatah. Arafat’s international stature increased while the PNC’s role was further diminished. Most tellingly, PNC meetings became less frequent after the PLO was recognized by the UN and the Arab League and it only convened seven times from 1974 to 1988. In addition, Arafat used his own interpretation of the PNC’s 10-point program to court Washington. He emphasized the creation of a “national authority” while offering concessions that clearly violated other aspects of the program. In the ensuing decades, Arafat’s mercurial and autocratic behavior would only get worse. What lessons can be drawn from these revelations? Palestinians who believe that the Oslo Accords were the best the PLO’s leadership could hope for will find some affirmation for that position. Oslo’s detractors, meanwhile, will also find confirmation that the Accords served the PLO’s leadership and not the Palestinian people. For Palestinians who advocate reform of the PLO, the question remains: Which organization do they hope to salvage? The PLO whose leadership used its legitimacy to secretly negotiate Oslo and then abused their status over the next two decades? Or the PLO whose leadership secretly sought to sign a similar agreement in the mid-1970s if the U.S. and Israel were amenable? The difference between the two is barely distinguishable. For those Palestinians who believe the PLO and its leadership are irredeemable, these findings demonstrate yet again the need for a new movement to achieve Palestinian rights unencumbered by the legacy of failure and duplicity associated with the past. 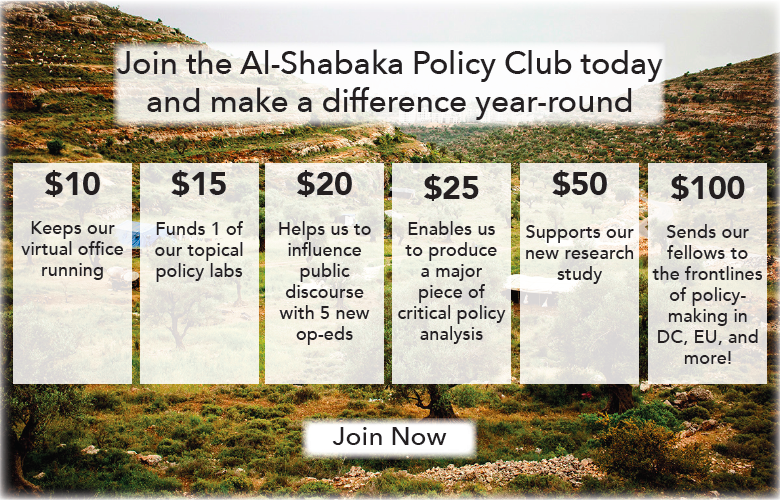 Al-Shabaka Policy Advisor Osamah Khalil is a co-founder, board treasurer, and former co-director of Al-Shabaka. He is Associate Professor of History at Syracuse University’s Maxwell School of Citizenship and Public Affairs. Khalil is the author of America’s Dream Palace: Middle East Expertise and the Rise of the National Security State (Harvard University Press, 2016).